Since his time at OTC, Southwell has been riding the roller coaster of life – getting accepted into Yale and taking educational trips to South Africa and Israel. Even if it looks impossible, Southwell has a self-proclaimed “just do it” attitude. 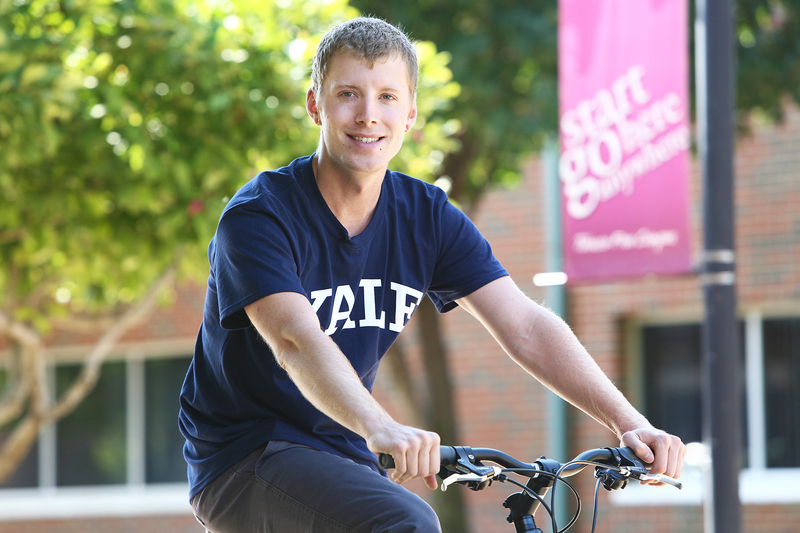 “I knew I had to go somewhere after OTC, so why not Yale?” he asked rhetorically. Southwell found his way to Missouri and enrolled at OTC in 2013, after falling victim to homelessness and addiction issues while living in Las Vegas and the California area. After a semester in OTC’s general studies program, he qualified for the prestigious Boren Scholarship, becoming the first student from southwest Missouri to receive it. The Boren Scholarship is an initiative through the National Security Education Program to provide funding opportunities for undergraduate students to study less commonly taught languages. Southwell chose to study the Zulu language and traveled across the world to study at the University of KwaZulu Natal in South Africa. It was during this time that he also began applying to Ivy League universities throughout the country – as if studying an African language wasn’t enough on his plate. Some might not understand Southwell’s drive for the “impossible,” but he says he is just following advice he received from Todd Yerby, the honors program director at OTC. After his acceptance to Yale in 2015, he was also accepted into a unique summer business program with Washington University in St. Louis. With the program, he spent four months in Israel studying business with an emphasis in entrepreneurship and innovation. The program lasted six weeks, but then he spent the last nine weeks interning at a technology startup. Currently, Southwell’s focus is finishing his degree in sociology, which he hopes to accomplish by 2019. So far, Southwell has enjoyed his time at Yale, and found many similarities within the student populations of OTC and Yale. He hasn’t made any post-graduation plans – but that’s not really his style. He enjoys living life by chance and determination, rather than through solidified plans. “I would be disappointed with myself if I already knew what I was doing after graduation,” Southwell said.